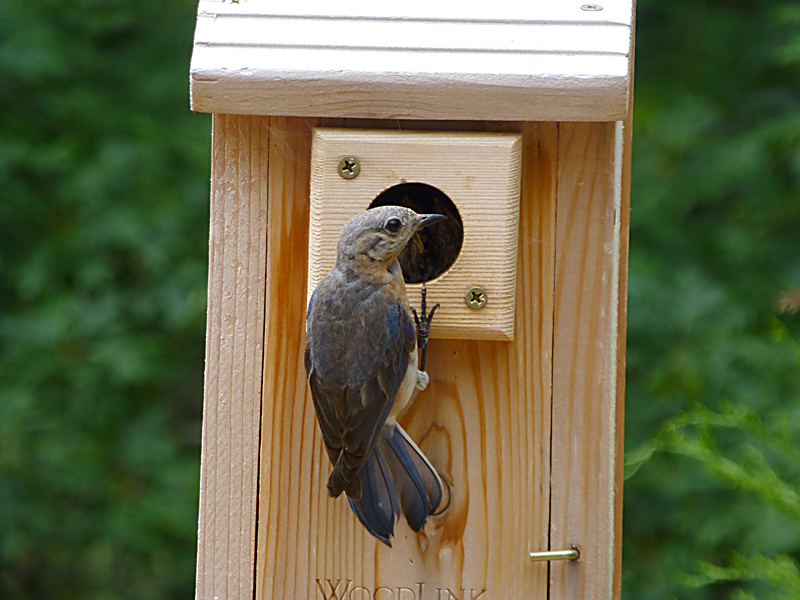 We bought another birdhouse for the summer, hoping that a Bluebird would settle in right outside our bedroom window. We had a few “lookers” but a Chickadee finally moved in, had their babies and then left. We thought that was it. 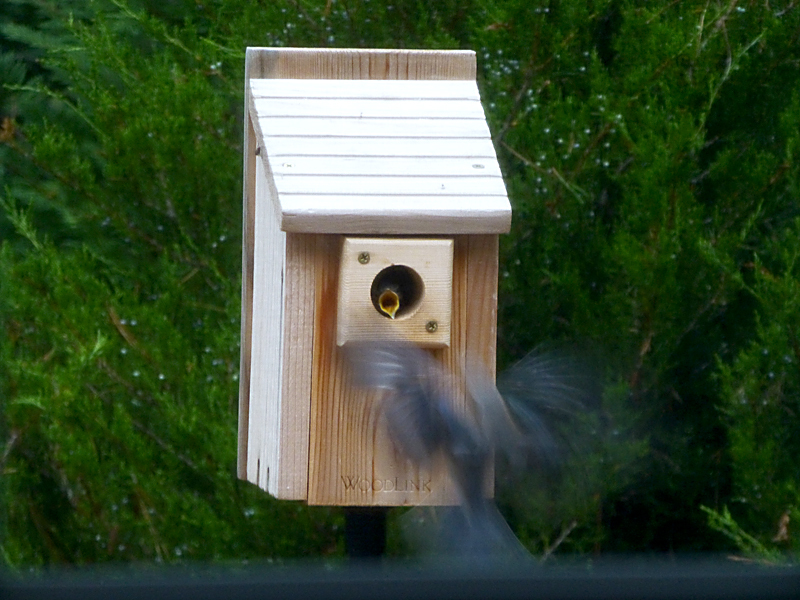 We had Bluebirds in 2 of our other 3 birdhouses, but this one was special. We could sit on our bed and watch the little ones in the house. Oh well, maybe next summer. Then, about 3 weeks ago two morer Bluebirds started checking out this birdhouse. We thought they were done. But Stephanie, the Executive Director of Wild Care on Cape Cod, assured us that sometimes Bluebirds have 2 clutches, so maybe they were going to stay. Well, they did and we have been treated to daily treats of watching them build their nest and then feeding and raising their young. 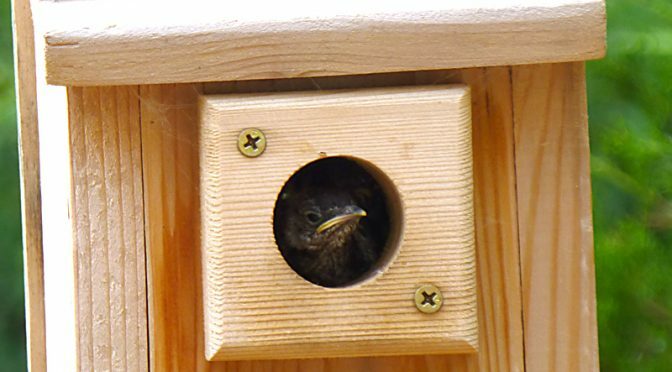 We fill our bird feeders with dried mealworms at least 3 times a day so they can feed their 3 little chicks and are they cute! I am amazed at how hard the parents work to feed their young almost hourly. It has been a beautiful summer treat to watch these little ones grow. I can’t wait to see them at the feeders themselves! A “win-win” for us all! So much fun! !